Following complaints about suspected prostitution and possible human trafficking, multiple agencies conducted an investigation into Atascadero massage parlors. Over several months, Atascadero police teamed up with San Luis Obispo police and the district attorney’s Human Trafficking Task Force to conduct code compliance checks and undercover operations at numerous massage parlors in Atascadero. On Wednesday, investigators served warrants at three massage parlors in the 7000 and 8000 blocks of El Camino Real — Phoenix Massage, Happy Day Massage, and Zen Massage. Officers arrested one person, 39-year-old Qin Guifang, on an outstanding warrant. 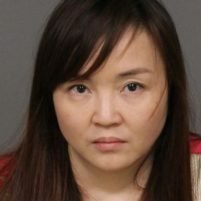 Atascadero police are forwarding the case to the district attorney’s office and recommending prostitution charges against Guifang. Authorities also cited two of the businesses for labor and insurance code violations and yellow-tagged one location for building code violations relating to safety. Police say they have not yet confirmed whether the massages parlors targeted in the investigation have been involved in human trafficking. Still, police sought help from the DA’s office in providing services like counseling and emergency housing to human trafficking victims, should they be identified. Oh well……my plans for the weekend are shot to hell.